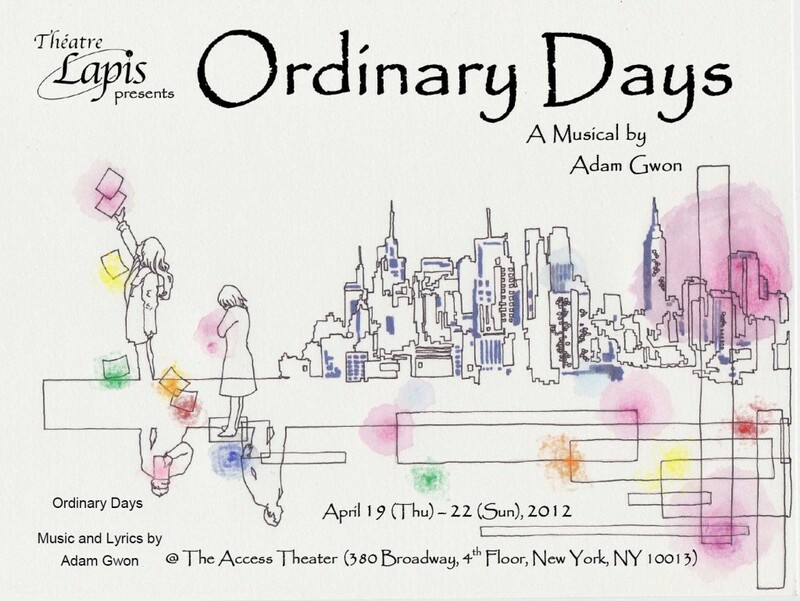 Ordinary Days is a simple and beautiful musical by Adam Gwon, which was originally produced by Roundabout Theater Company in 2009. It tells the story of four young New Yorkers whose lives cross over in an enormous metropolis, NYC, as they search for fulfillment, happiness, love and the meaning of life. Through a score of vibrant and memorable songs, you will find your own story among their experiences. Student Ticket $15 (ID required) is available. 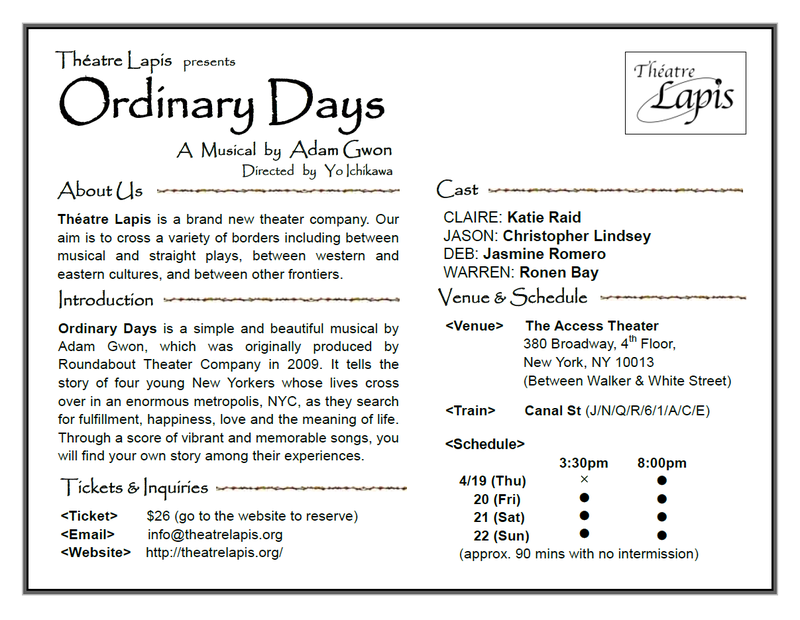 Tickets for ORDINARY DAYS can be purchased in the website below!!! For further information, please contact email address below. Even if all sales are closed, the ticket may still be reserved by emailing your name, the date and time of the show you would like to attend, and the number of tickets you need.